Buy enough Monster Oil to fill your bathtub twice. Submerge your entire horn in the tub. Drain the valve oil and wash the instrument. Refill the tub again and submerge your horn. Drain the valve oil from the tub and you are done! If for some reason you do not have a suitable tub, then send a note along with YOUR ORDER and we will be glad to provide alternative methods for lubricating your instrument. As for your slides, simply take a handful of grease (you'll probably need 6-8 tubs to get a big handful) and rub it on all of your doorknobs so people stop breaking in while you're trying to focus on instrument lubrication. Now that you have some peace and quiet, take out another tub, and coat each of your slides with the grease. If your residence uses some type of switch or other non-doorknob entry then send a note along with YOUR ORDER and we will be glad to provide alternative methods for lubricating your slides. For valves: Take a valve out, wipe it dry if possible, then place 4-5 drops on different places. Put it back; you're done! If you are using Adams Oil or Doc's Juice don't forget to shake it before you apply! For grease: Slather it on your main tuning slide and 2nd valve slide only (for trumpet)! Wipe off the excess and you're done! If you need help getting it off your finger, try some Dawn. 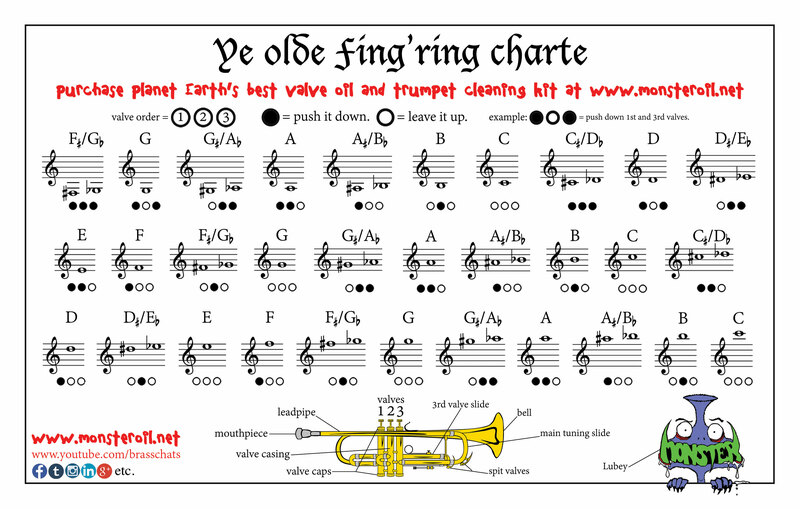 For Slide Oil: This should go on your 1st and 3rd valve slides (for trumpet). Wipe down the slides and slather it on. Wipe off the excess and you're done!